2018 proved an exciting year for relative youngster MPH; with his upcoming release ‘Business Mode’ sounding masterfully tight and boasting some huge collabs, we at 3000 are sure the trend will continue long into future. This hard-hitting release pulls no punches and is announced by eponymous artillery shell ‘Business Mode’ featuring textbook vocal cuts from none other than Dread MC. Compact drum patterns and a prominent clave motif underscore Dread’s apocalyptic introduction, which soon makes way for the track’s bouncy, dissonant main theme. The opening track does what a good introduction ought to and foreshadows much of what is to come and nicely makes way for a VIP of the previously released ‘Mud’. The featured VIP of ‘Mud’ sees MPH making a few subtle changes to the original, but the track largely retains its original identity; a party-friendly stomper laced with shades of notable scene progenitors such as My Nu Leng, Taiki Nulight and Killjoy amongst many others. Mud VIP is uncompromisingly abrasive from start to finish and can comfortably, and rightfully, take its place in the hallowed category of ‘peak-time bangers’. ‘Aggregation’ starts with the most relaxed spot on the EP; dreamy vocal edits and delayed bells are marched on by smooth subs and a simple house beat before the inevitable switch-up just over a minute into the run-time. This wonky, disjointed offering juts and jars with tight-knit, four to the floor drums keeping the ship steady throughout. ‘Aggregation’ is a miniature showcase of MPH’s talent for diverse soundscapes and hopefully is an indication of the many directions MPH can take his musical craft from here. The final track on the EP is a smooth instrumental refix of the album’s eponymous track and is a nice little addition, particularly for those of us crafting a set. ‘Business Mode’ is a brash, pugilistic effort which looks to cause a ruckus and ask questions later. 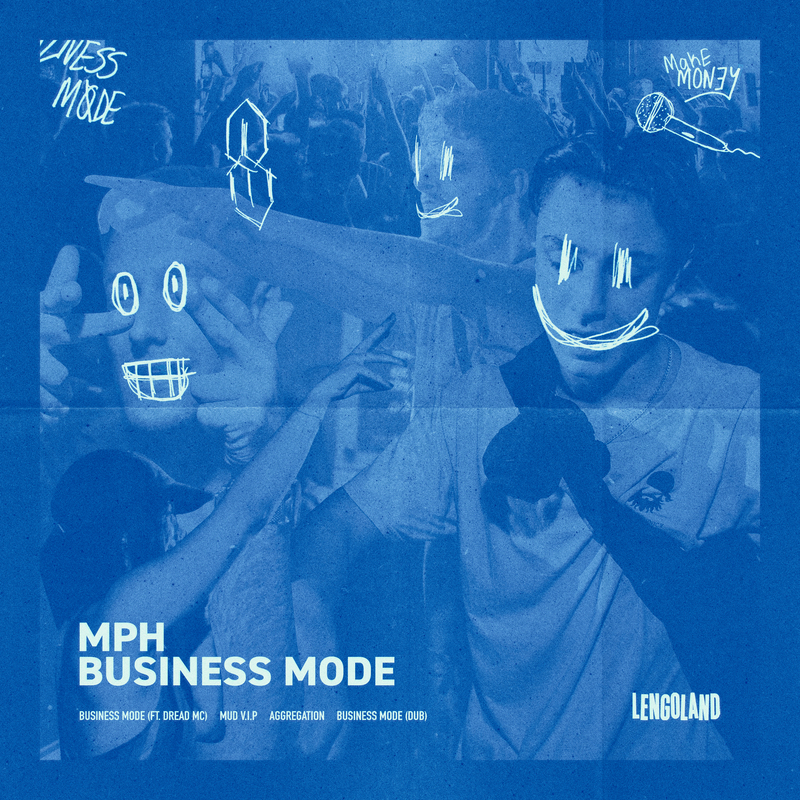 Nicely suited for a dingy rave or a festival stage ‘Business Mode’ leaves excellent account of its producer and is an exciting omen of what the future holds for this young buck of bass music. As always you can follow MPH and cop/stream ‘Business Mode’ using the links provided below.